Shabby Chic Papers are a Crafters first loveisnt it? So, to keep the love ignited Bob n Betty present to you a series in Decoupage Specialty Papers Soo Shabby. 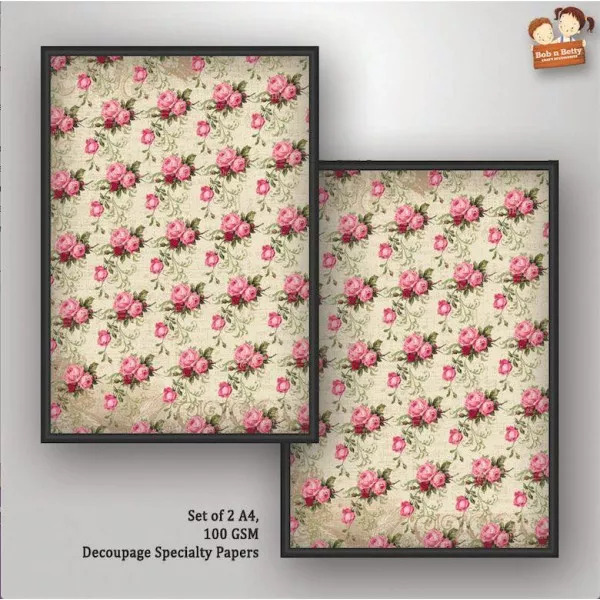 This collection is an amalgamation of gorgeous roses, clocks and torned layers set on pastel backgrounds.